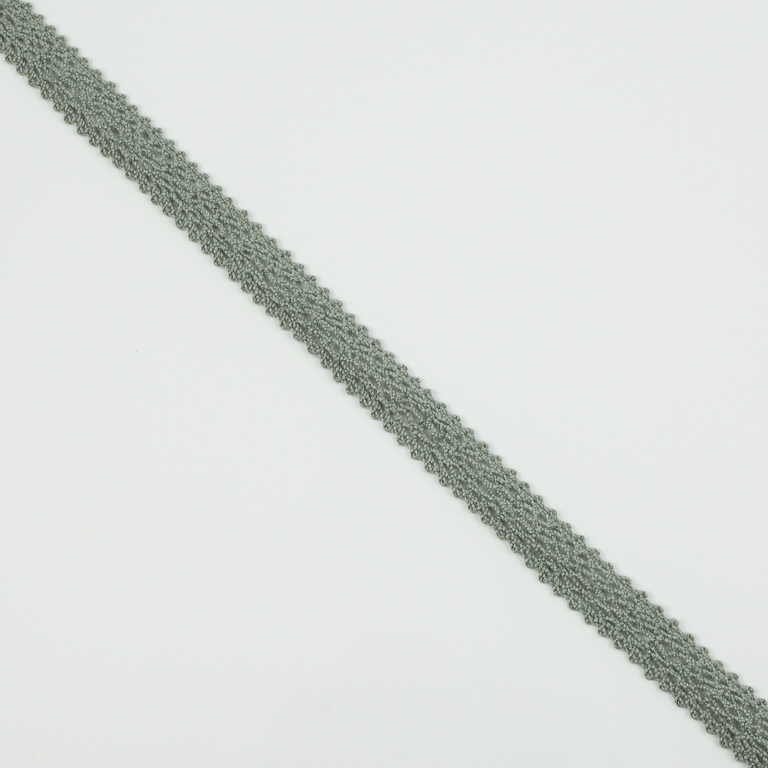 Knitted cloth ribbon in gray color. 1.5cm width. The price corresponds to one meter.